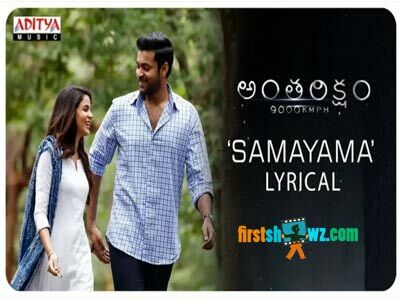 Mega Prince Varun Tej, and Lavanya Tripathi starrer Anthariksham 9000 kmph us gearing up for a release soon, and meanwhile the first single Samayama from the film is released today. The song is soulful and has impressive lyrics by Ananth Sriram. Prashanth R. Vihari composed it while Harini ,Yazin Nizar goes behind the number for the Samayama song. Anthariksham 9000kmph is directed by Sankalp Reddy and the movie is produced by First Frame Entertainments banner. Aditi Rao Hydari is seen in second female lead in the movie. Antariksham is promoted as the first space movie in TFI, and the makers are eager to know the response from the audiences regarding this unique attempt. The movie is slated for a release on 21st December.